Great Corsair house of 400 m2 completely renovated, near Dinard Golf and 200m from the beaches. Very sunny, large living room, large garden, 6 bedrooms, 4 bathrooms. 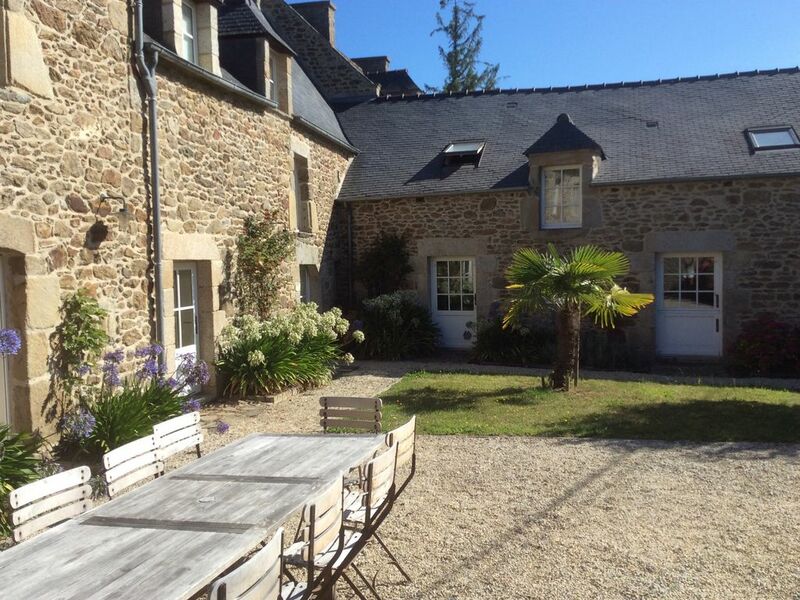 LARGE AND COMPLETELY RENOVATED, ON THE NORTH COAST OF BRITTANY. PERFECTLY LOCATED OUTSIDE THE OLD VILLAGE OF ST BRIAC, 200M FROM THE SEA AND 350M FROM DINARD GOLF. Only 5 km from Pleurtuit (Dinard) airport, with daily Ryanair flights to London! By road: After St Malo, pass the dam of Rance to St Briac. By train: St Malo station. By plane: Pleurtuit-Dinard airport 5 km. 5 KM FROM PLEURTUIT DINARD AIRPORT (direct daily flights from Stanstead, London). Ferries to St Malo from the UK. A 5 MINUTE WALK FROM THE MAGNIFICENT EMERALD COAST '! BEAUTIFUL WHITE SAND BEACHES. DINARD GOLF, JUST A FEW MINUTES AWAY, IS ONE OF THE OLDEST GOLF COURSES IN FRANCE, AND HAS A SEA VIEW FROM EVERY HOLE!